Here’s a wild generalisation: the more adventurous someone is, the more likely it is that they have trekked in Nepal. While that claim may not have been actually researched, it’s certainly been written about on many a Nepal travel blog. That’s because when you’re contemplating a truly wild, adventurous and challenging quest, taking on Mt Everest amid the breathtakingly picturesque Himalayas will definitely be a top contender. And if you idealise taking a first-hand look at Earth’s highest mountain, you’ll automatically be planning a trekking adventure in beautiful Nepal. But Everest is not all Nepal has to offer. Geographically, culturally and spiritually diverse, it’s the scene of some of the world’s most spectacular and most epic trekking trails including the one leading to Annapurna – which is even more treacherous than Everest. Like any true adventure, however, Nepal is not for the faint hearted. 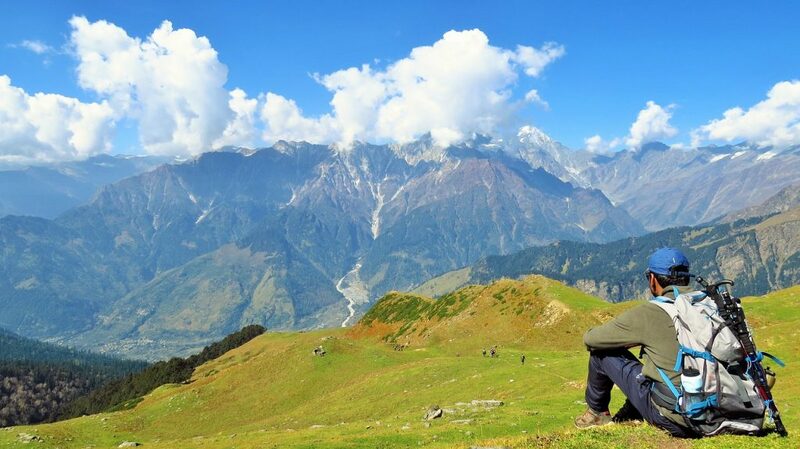 Trekking in the remote and often unforgiving Himalayas is a true human challenge, so it’s important to do your research and plan thoroughly before you go. Even if you’re used to trekking elsewhere in the world, it’s a good idea to consider whether you really have everything you need to tackle the awesome trails of Nepal. Most of the trekking – even on the higher mountain passes – is not overly technical, but you still need proper boots, a good pack, appropriate clothes for the weather, and supplies in the event that things don’t go smoothly. What else? Check out what this Nepal blog recommends for your pack. While it’s much easier to find a blank date in your calendar, it’s actually a lot smarter to plan your trek around the Nepali climate. If you go between May and August, your views may be obscured and you may find yourself trekking in an awful lot of monsoonal rain. For the best chance of clear, cool weather, consider trekking in Nepal between October and December. If just about ‘anything goes’ in the West, that’s not quite true in Nepal. Particularly women, but even men are expected to dress quite modestly – so don’t pack the bikini! Also, know how to respectfully greet the locals with your hands and remember to say “nameste”, avoid public shows of affection, and take your shoes off if you’re invited into someone’s home. When trekking in Nepal, it’s important to know not only about those trails, but all about a very different culture. Especially if this is your first Nepal trek, carefully consider whether engaging the help of a guide or Sherpa is a good idea. While the popular Everest and Annapurna trails in particular are well marked, the culture and language can be a shock to Westerners. Not only that, using a porter to help carry your stuff is helpful, affordable and stimulates the local economy, and it’s also a guarantee that any restricted trails will be accessible to you. While careful planning is important, also be aware that the harsh and beautiful nature of Nepal means you can’t write your schedule like you would for a boardroom meeting. If you book internal flights to some areas of Nepal, for instance, you may find that delays and cancellations are quite common. Not just that, natural expeditions and weather are inherently unpredictable, so have some ‘gap days’ built into your trip so that you’re not stuck if you get caught out for whatever reason. 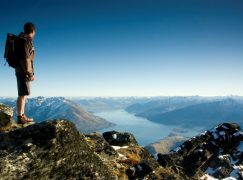 It’s surprising how many people take a ‘It won’t happen to me’ attitude to mountain sickness, or know almost nothing about this condition (https://www.healthline.com/health/acute-mountain-sickness) before intending to head into altitude. One way to stave it off is to keep hydrated, but it’s also very important to understand that while some light symptoms are common, if you ignore them altogether, acute mountain sickness can be very dangerous. In fact, health in general is commonly overlooked by trekkers who don’t realise that Yellow Fever, Malaria and polio can be a risk in Nepal – as are plenty of other health issues that can be read about not only at a good Nepal blog but in the most comprehensive of Nepal trekking guides. You may not be planning to risk mountain sickness by heading into those higher altitudes, but you could still find yourself surprised at the difficulty of the challenges you’re taking on. Even hikes marked as easy to moderate require preparation, knowledge and a certain level of fitness. 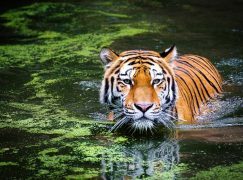 If planning for mountain sickness is a common oversight, then it’s no surprise at all that many trekkers don’t think much about what wild animals they may encounter in Nepal. What you may have heard about is the dangerous Snow Leopard, but actually they’re incredibly rare. Similarly, tigers and rhinos don’t live in the mountains, but it’s a very good idea to look into which areas might be inhabited by black or brown bears. 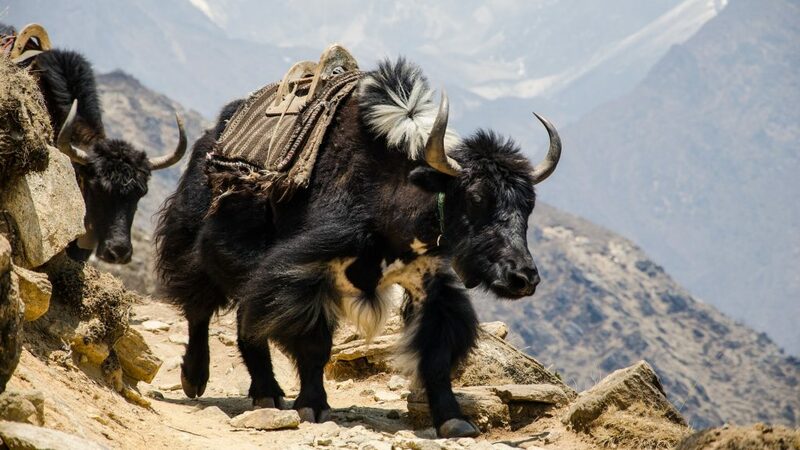 What you almost certainly will see are hairy yaks, and especially those used by locals to carry heavy loads. If you encounter one on a mountain trail, give it a wide berth and stay on the mountain side rather than the ridge! We’ve already told you to stay hydrated in those mountains, but watch out for what you’re drinking. Tap water is not safe, so stick to sealed bottled water and carry an ample supply as well as some water purifying tablets as you head out onto your trails. Also be mindful that you could accidentally drink tap water as you shower, clean your teeth and even eat fruit that has been washed. Make sure trekking is right for you! 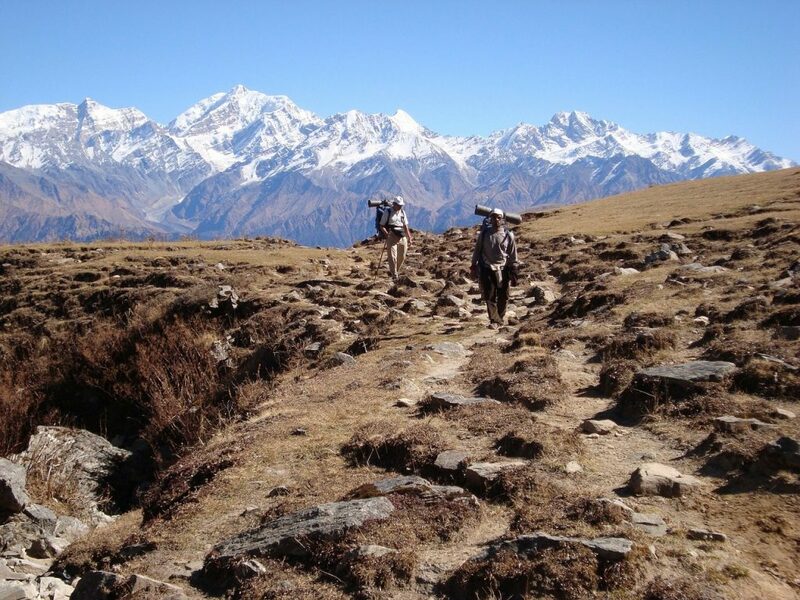 As we’ve suggested, while many people are up for an adventure, trekking in Nepal is not for the faint hearted. You need to plan meticulously, expect things to go wrong, be open-minded about a very different culture, and be prepared to be cold and rained on while huffing and puffing on some of the world’s toughest and most beautiful trails. Finally, pack the Wet Ones and a peg – because you could go days without a shower and your trekking buddy will almost certainly stink. 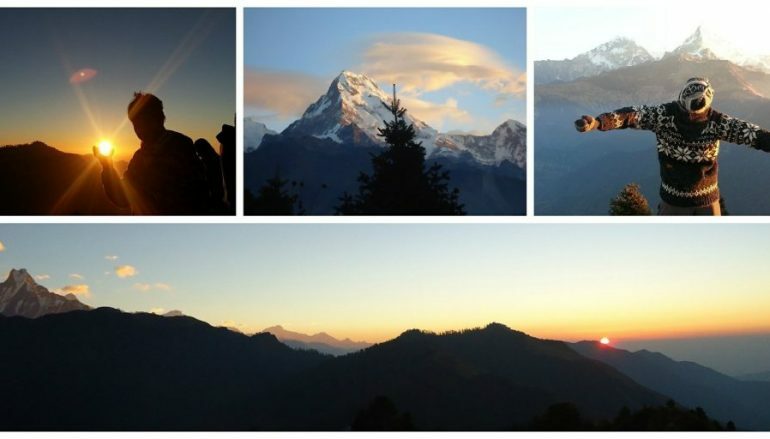 Still not put off the idea of a Nepal trekking adventure? Get really prepared by reading Tripfuser’s Complete Guide to Trekking in Nepal, and ensure your successful trekking adventure is just the first of many to come.